Culinary Medicine is the utilization of a unique combination of nutrition and culinary knowledge to assist patients in achieving and maintaining optimal health. The Goldring Center for Culinary Medicine at Tulane University is the nation’s first dedicated teaching kitchen to be implemented at a medical school. 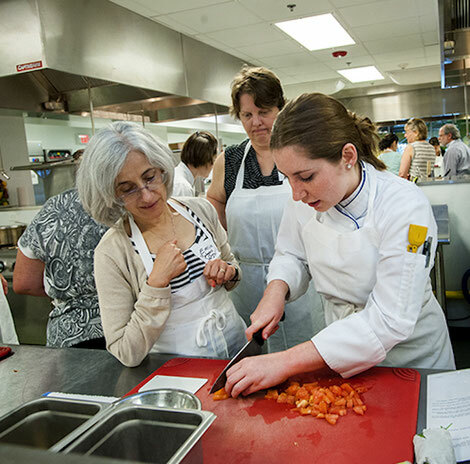 The Center provides hands-on training for medical students through culinary medicine classes in the form of electives and seminars, as well as continuing education for the healthcare and foodservice industries. The Center’s programs provide primary care clinicians with a knowledge-base of diet, lifestyle, and nutrition, and how they relate to disease. Modules are taught from the food-first perspective with an eye toward the practical aspects of what patients face day-to-day when trying to make substantive change in their lives.